Khulna Titans will play Rajshahi Kings in the match number 28 of the ongoing Bangladesh Premier League (BPL) 2016 T20 cricket tournament. It will be organized at the Shere Bangla National Stadium in Mirpur, Dhaka. The live stream will be available in the following spots. You can watch it online on Sony LIV and channel9.com in Bangladesh. Also, the Sony SIX and Sony SIX HD and Channel 9 will provide live telecast in the home country. KT tops the 2016 BPL points table as of now. They have earned 12 points while RK has got six points only and are placed on number 5 in the table. Kings are led by West Indies captain Darren Sammy. The Caribbean has won two titles all because of his captaincy. Titans are led by Mahmud Ullah once again while Shahid Afridi is leading Rangpur Riders. The first 16 games are to be played at the same venue while the next 10 matches are scheduled for Chittagong. The rest of the games will be played at Mirpur. The whole tournament includes 46 games in total. Every team is equipped with international t20 superstars. All of them have added their fair share of spice to the competition. This tournament includes some of the biggest names in the cricket. 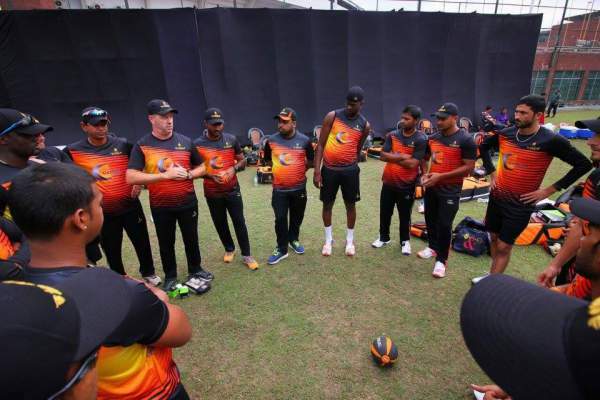 That’s why it has started giving competition to the Indian counterpart the Indian Premier League (IPL) as well as Australia’s Big Bash League (BBL) and West Indies’ Caribbean Premier League (CPL). Expected Playing XI of the Titans:- Taibur Rahman, Hasanuzzaman, Riki Wessels, Shuvagata Hom, Mahmudullah, Nicolas Pooran, Junaid Khan, Shafiul Islam, Kevon Cooper, Mosharraf Hussain & Alok Kapali. Expected Playing XI of the Kings:- Mominul Haque, Junaid Siddique, Sabbir Rahman, Samit Patel, Umar Akmal, Mehedi Hasan, Darren Sammy, Mohammad Sami, Farhad Reza, Nazmul Islam & Abul Hasan. Stay tuned to The Reporter Times for latest cricket updates. Stay tuned for more.